PRE-ORDER!!!! This item will ship in early December. Finished size of pillow is approximately 16" x 38". Kit contains all fabric needed for the pillow top (pieced and applique blocks) and fabric for the pillow backing. 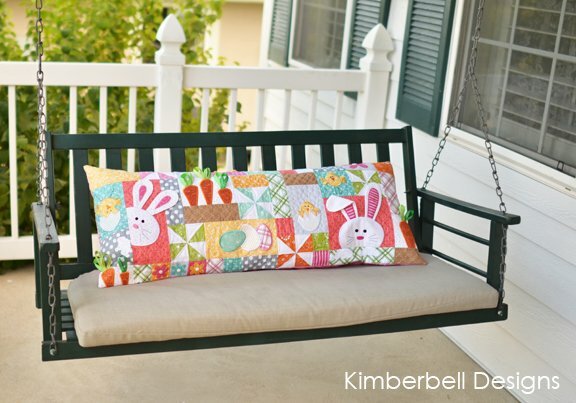 It also includes all of the embellishments needed for the bench pillow including the white polka dot and copper glitter sheets, buttons and green ribbon for the carrot tops. 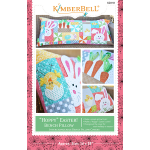 The pattern, pillow form and muslin for the optional quilting step must be purchased separately. PRE-ORDER!!!! This item will ship in early December or sooner. All fabric for the kits is cut and they will ship as soon as the new white polka dot glitter sheets arrive.